The creamy crab sauce complements this simple baked haddock recipe perfectly. The sauce is a basic white sauce made with the addition of green onions and flaked cooked crab meat. Serve the baked haddock with baked or roasted potatoes and steamed vegetables. Heat oven to 350 F (180 C/Gas 4). Melt 4 tablespoons of butter in an 11-by-7-inch baking pan. Arrange haddock fillets in a single layer, turning to coat with the melted butter; sprinkle with salt and pepper. Bake for 25 to 30 minutes, or until the fish flakes easily with a fork. Meanwhile, in a saucepan, melt 2 tablespoons of butter over medium-low heat. Stir in flour until smooth and bubbly. Continue cooking, stirring, for 1 minute. Add the green onions to the flour mixture along with the 2 tablespoons of parsley, then gradually stir in the half-and-half. Continue cooking, stirring constantly, until thickened. Add the crab meat and salt and pepper, to taste. 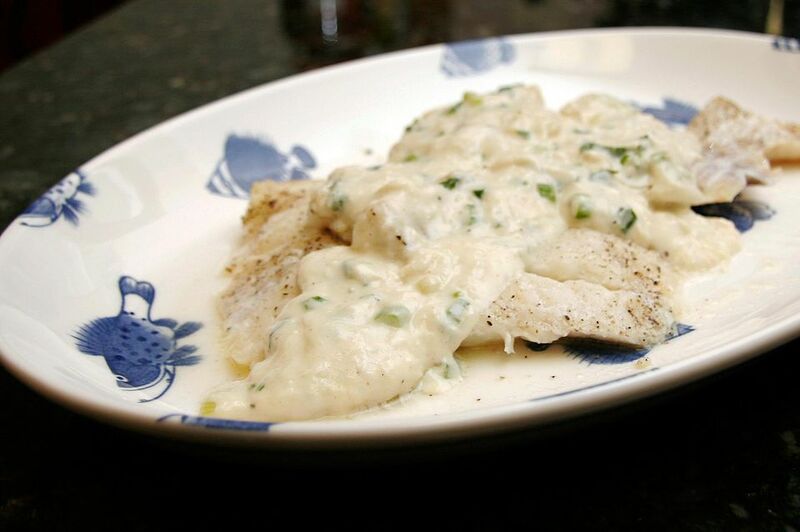 Arrange haddock on a platter or serving plates and top with crab sauce. Allow 4 to 6 ounces of fish fillets per person. When cutting a large fish fillet in half, cut it down the center lengthwise rather than crosswise. For even cooking, when you have a thin "tail" at the end of a fillet, fold it under so the whole fillet is an even thickness.